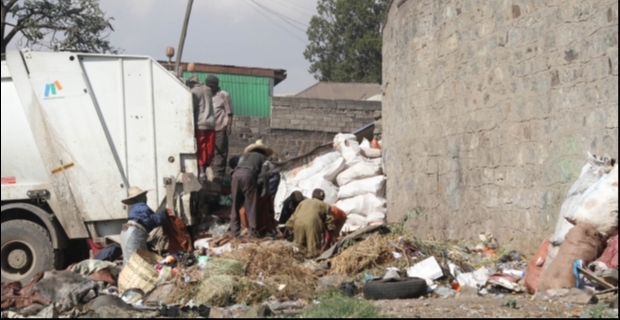 The sanitation and garbage management of Addis Abeba has always been a subject of scrutiny for its residents. Controversies about landfills and waste disposal have hung over the city and its administration in recent years. However, now, there is a new system that is being implemented for managing the city's voluminous waste: compactor trucks. So far four districts have implemented them, with more to follow. However, residents are not finding that they are any better than the usual systems, as MENNA ASRAT, FORTUNE STAFF WRITER, reports. Handcarts filled with houshold and business garbage. Garbage collection workers leading a compactor truck. 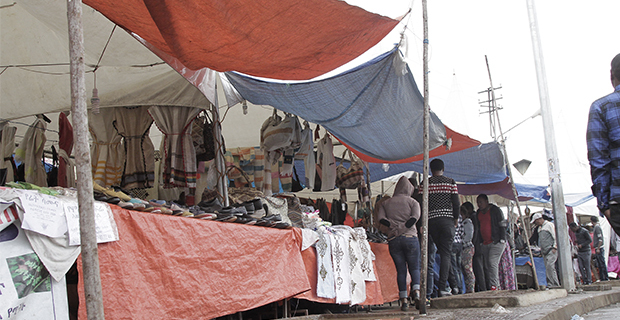 Addis Abeba is transforming its waste management system to make it more streamlined and automated, but the changeover is causing some growing pains to residents who complain about untimely pickup of waste from homes and businesses. The cities residents are finding it hard to stomach the apparent lack of consistent and timely pickup of household garbage. Etagegn was standing in front of her house just off Sierra Leone street, where she lives with her two children. In her neighbourhood, she said, the garbage collection problem is beginning to reach extreme levels. Traditionally, independent garbage collection services are set up and registered under wereda administrations. Each collection service is made up of about 10 people and serves a certain area. Using handcarts, they collect garbage from households and businesses and deposit them in dumpsters, where it is collected and taken to a landfill. Nowadays, the usual sanitation system does not seem to be sufficient. 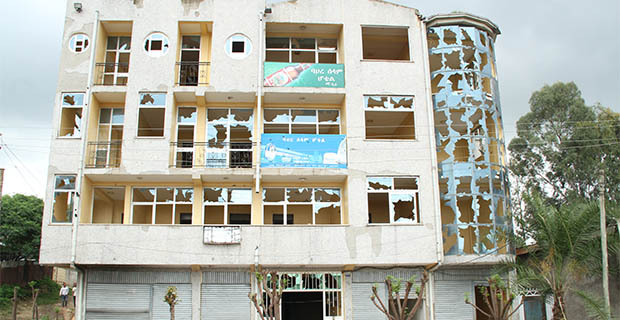 While garbage disposal issues are not a new phenomenon for Addis Abeba, there has been a noticeable decrease in the number of garbage dumpsters that are visible in residential areas. Garbage removal services, without receptacles to store waste, have to leave piles of garbage next to city streets to await collection. However, the delays are part of the rollout of a new system that will make garbage disposal more efficient, according to city officials. Instead of relying on garbage being transported from households and businesses, to dumpsters, and then to landfills, now compactor trucks will be deployed to collect garbage daily and take it straight to the landfill. “It would be one thing if the garbage collectors came on time. But even when they come, they leave it on the street,” Abebech added. 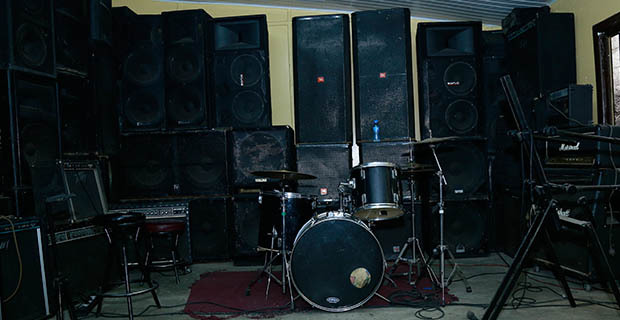 In 2012, the Addis Abeba City Administration bought 19 compactors, each with a capacity of 100 cubic meters. 25 more were purchased in 2016, as well as 10 road sweeper machines, at a cost of 105 million Br. As part of the new plan, dumpsters in several districts have been removed entirely. When the trucks are being used, there is no longer any need to pile garbage up in dumpsters to await removal to landfills or processing plants, according to administration representatives. 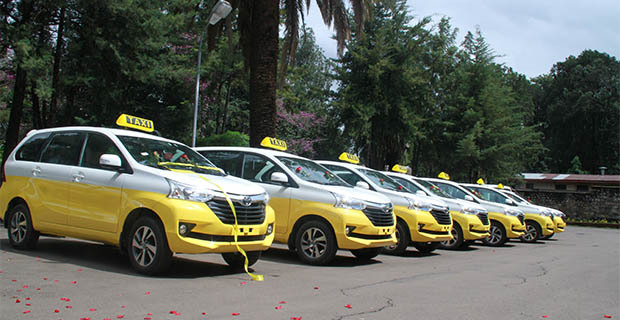 Four of Addis Abeba’s districts have already begun using the program – Arada, Addis Ketema, Lideta and Qirqos. However, it is not all good news for the city’s existing waste collection workers. The new vehicles are inconvenient and ineffective, according to some workers. 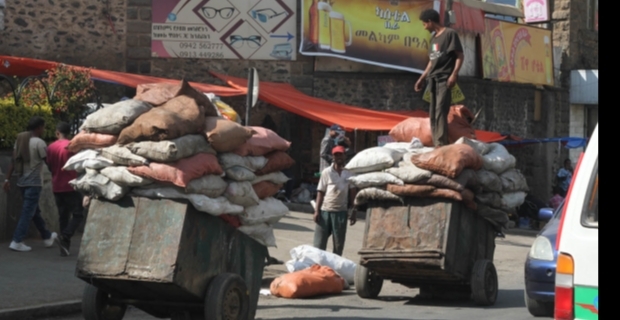 There are 610 collective unions currently registered as garbage collection services in Addis Abeba. Deguma Wendimu, 33, is a garbage collector with one of those unions. He got started in the business with his colleagues eight years ago. They rented two handcarts to collect neighbourhood garbage and dispose of it into a local dumpster. But with the new garbage collection system means that there is now nowhere to store garbage except by the side of the road, sometimes for days. “If we were still using dumpsters it would be easier to keep everything neat and together,” he added. The city administration however, denies that there has been an interruption in garbage collections. Residents of the city, on the other hand do not accept that there has been an effort from the city to ensure consistent collection. “The trucks come everyday, but sometimes, they don’t take everything. 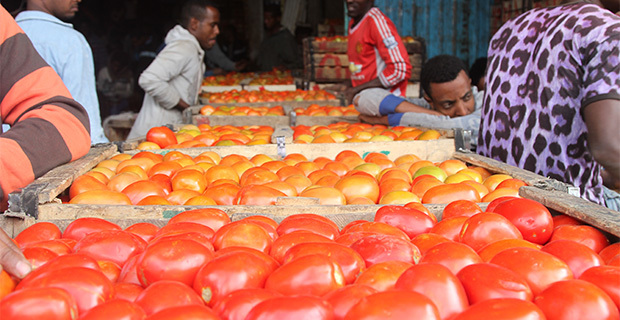 And then it has to wait for the next day,” says Abebech. The story of garbage collection in Addis Abeba has been a complicated one. The establishment of Repi landfill, commonly known as Qoshe, 50 years ago gave the country its first landfill. As time went on, the landfill, which was once on the outskirts of Addis Abeba, was surrounded by buildings and infrastructure. The Repi landfill was the focus of controversy in 2016 when, as part of the government’s development plans, its operations were slated to move to Sendafa, in Oromia regional state. The Repi site was planned to become a public park. Sendafa landfill, which was built by VINCI Grands Projects, was supposed to replace the Repi landfill as the endpoint for the city’s garbage. 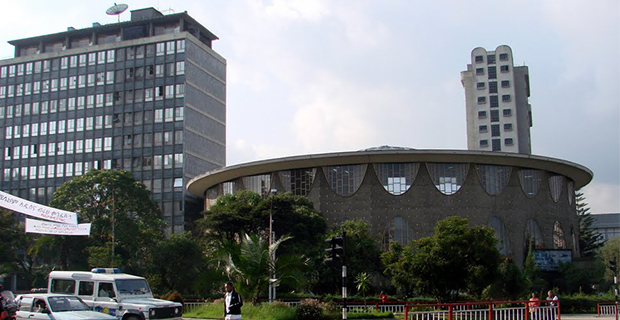 It was designed to provide waste management services for the over 3.5 million residents of the capital and 195,255 residents of the Oromia special zones, particularly Sululta, Lege Tafo, Burayu, Sebeta and Gelan. However, the farmers in Berke Wereda, Oromia Special Zone, where Sendafa Landfill was located, refused to allow garbage to be dumped in the area. The space is currently being finished for a sounder and more environmentally friendly garbage site, according to the site’s employees. Operations were moved back to the Repi landfill site. It has since become one of the locations of the government’s waste-to-energy programs. The Repi waste-to-energy plant has currently reached 90pc completion. When it is finished, it will have the capacity to generate about 25MW of power. The delays in garbage pickup times have affected residents and garbage collection workers alike. However, the staff at the Repi landfill have not noticed anything amiss. “We are still receiving the same volume of dry waste at the landfill that we usually do,” says a Repi employee. 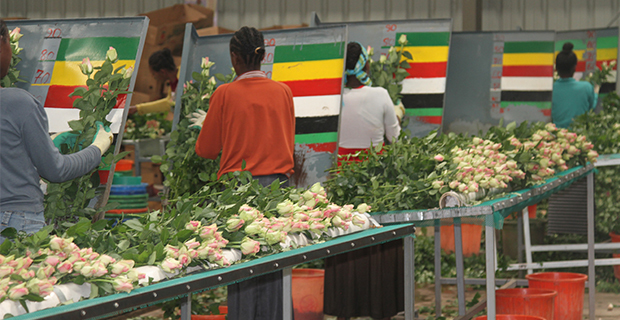 The amount of waste generated by each individual in Addis Abeba increases annually by 2.1 cubic meters. Households generate around 82pc of the city’s total waste. In total, with the waste from households, businesses and street cleaning combined, the city generates 8,574 cubic meters of waste every day.